First, Where Exactly is “Southwest Florida”? Southwest Florida at the most northern end is Cape Coral. 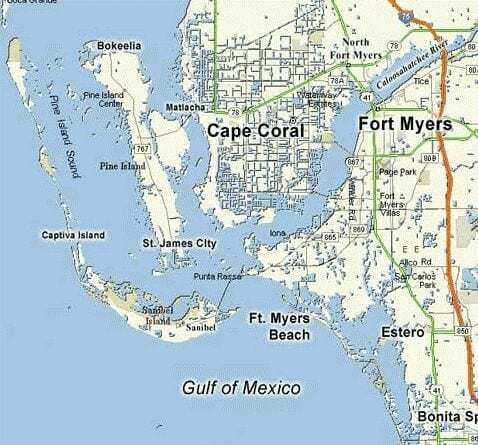 Going south along the coastline, primary cities are: Cape Coral, Fort Myers, Fort Myers Beach, Sanibel, Bonita Springs, and Naples. View a larger map of Southwest FL here. 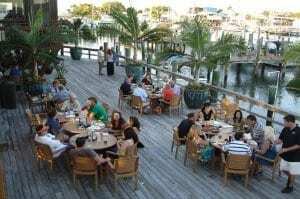 Southwest Florida with unspoiled beaches, exotic wildlife and lush subtropical foliage is a combination of the sophistication of a pampered island resort with the relaxed style of Old Florida. Our area is served by the Southwest Florida International Airport in Fort Myers (Lee County), with direct flights from Toronto, Munich, Minneapolis, Milwaukee, New York City, Memphis, Dusseldorf, Indianapolis, Washington DC, St. Louis, Cinncinati, Boston, Chicago, and many more major cities in North America and Europe. Alternatively, the international airports in Miami and Tampa are just a two hour drive. It’s well known that the closer a property is to water, the more valuable the property becomes. This is especially true if the weather, the shopping, and the related community services are superior as well. In consideration of all factors including amenities, affordability, Gulf of Mexico access, and opportunity for growth and ppreciation, Southwest Florida real estate offers a solid opportunity for investment. 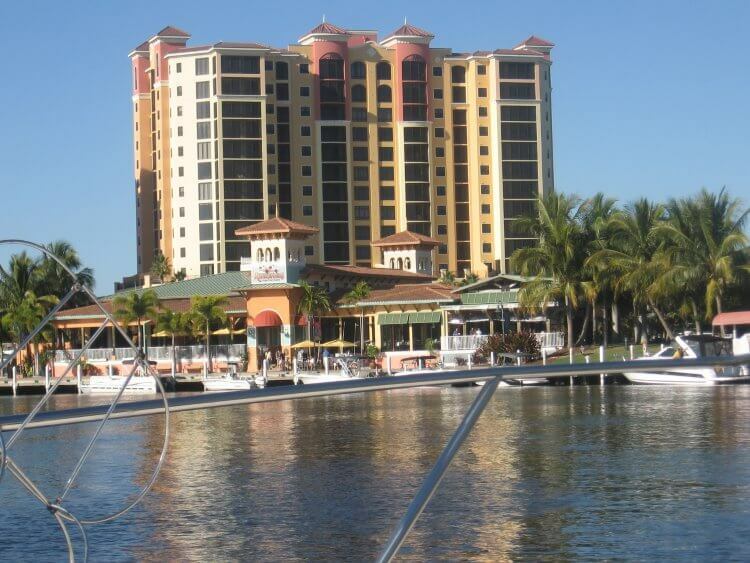 Find out what the canals look like from the water by viewing our virtual Cape Coral canal cruise. 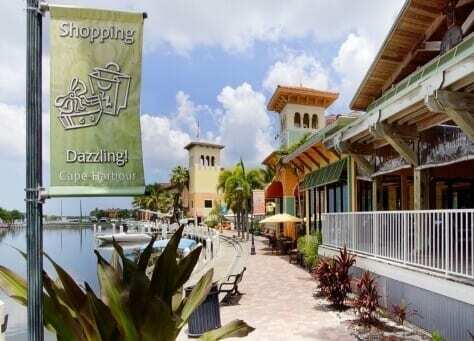 Punta Gorda is also know for its expansive canal system and beautiful views over Charlotte Harbor. Perhaps the best tarpon fishing in all the world lies just north of Bokeelia (Pine Island), in Boca Grande Pass at Charlotte Harbor. Other popular game fish are snook, redfish, trout, grouper, snapper, cobia, sheepshead and many others. A fisherman’s paradise! 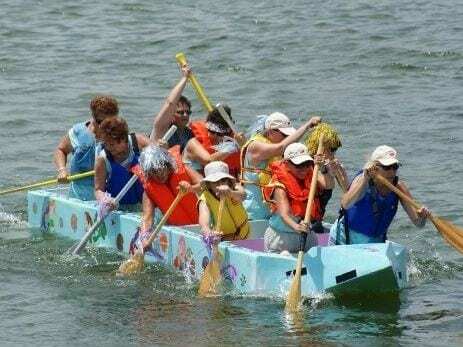 We have compiled here a list of over 20 of our favorite boating destinations. 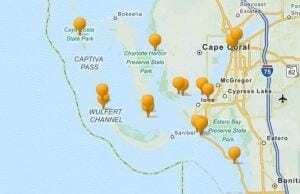 By no means is this list exhaustive – there are many, many more boating destinations just a short cruise away. Oh, and all of these marinas, beaches, and restaurants, bars are most certainly just as fun to visit by car. The only location below that cannot be accessed by car is Cayo Costa State Park (there are ferry services to get you there). View our article on Boating in Cape Coral, Fort Myers, Fort Myers Beach, Sanibel and the Gulf of Mexico. According to the National Golf Foundation, Fort Myers ranks fifth in the nation for golfer-to-holes ratios. More than 975 holes perforate more than 60 golf courses throughout the county, 27 of which are open to the public. 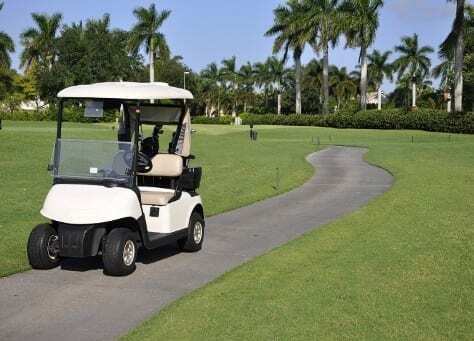 Get detailed information on Southwest FL Golf courses here. And read about Golf Course Community Types in Naples, Bonita Springs, Fort Myers, and Cape Coral. Those in Southwest FL real estate are in a perfect position when it comes to cash in on the second-home market surge, when compared to other Florida areas. As value-conscious baby boomers join the bandwagon and look to purchase second-homes/vacation-homes, they will look to purchase in communities where they can enjoy affordable resort style living and get the most for their money. But other factors such as great health care systems, local shopping, government services, no state income tax… add up to a lifestyle choice that is hard to beat. You will find a great deal of more information about us, about the Southwest FL real estate market, and buying and selling, and about the Southwest Florida lifestyle on our blog: Southwest Florida Real Estate – The Market, The Lifestyle. The blog is updated frequently with news you can use, from foreign buyer experiences, to closing process and costs, to current price trends, and more. To learn more about the area, have some fun and browse some of the current listings in the saved search Quick Links below. 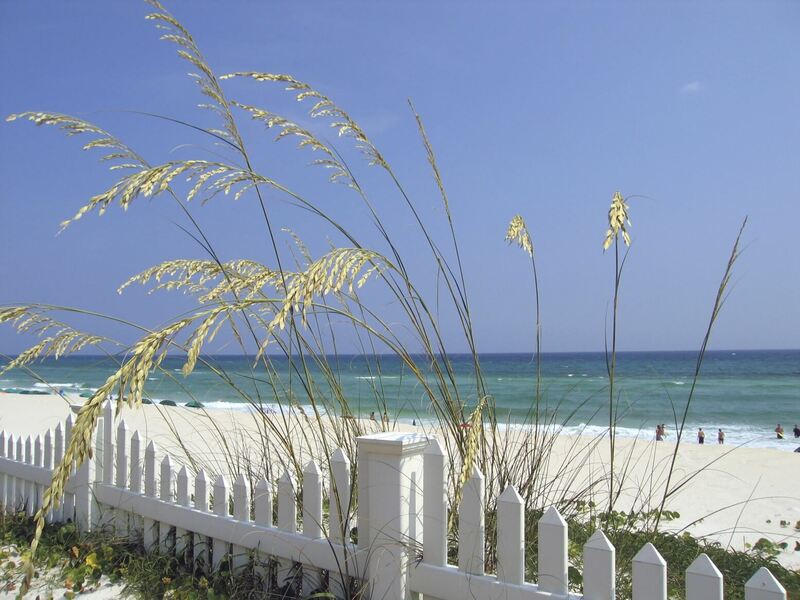 Or, use our Southwest Florida Real Estate Property Search to get more refined search results based on your criteria (Gulf Access, for example). It is not well known that Southwest Florida is home to many estate and executive luxury homes and communities. Southwest Florida doesn’t advertise or boast about the entertainment or sports celebrities, radio hosts, philanthropists, authors, or CEOs that have second or permanent homes here. And that is one reason luxury living is different here – no paparazzi, tabloids, or bus tours. Just peaceful, private enjoyment of exquisite homes, grounds, and views. And consequently, it’s a fairly guarded secret just what kind of luxury awaits. On Gulf of Mexico beaches, in golf course communities, along the Caloosahatchee river, on saltwater canals, in yachting communities… it’s no surprise there are luxury properties throughout Southwest FL. 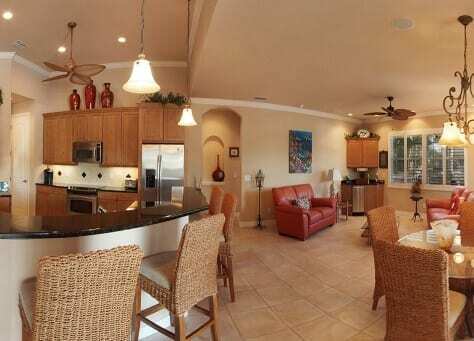 Pictured here is the pool area of a home in Cape Harbour, a premier Cape Coral real estate boating community.